The overall winner will travel to London at our expense from anywhere in the world (or choose the cash equivalent) to record in the studio with legendary British producer Stuart Epps. For a songwriter it really doesn't get much better than this! And everyone who enters a song gets something! Other prizes include personal mentoring and coaching with hit songwriter Mark Cawley, the Mozart Software Awards, GISC memberships, International Song Copyright registrations and much more AND everyone who enters gets UKSC guaranteed prizes (worth many times the entry fee) and receives a UKSC Certificate and is told the judges score for each song. 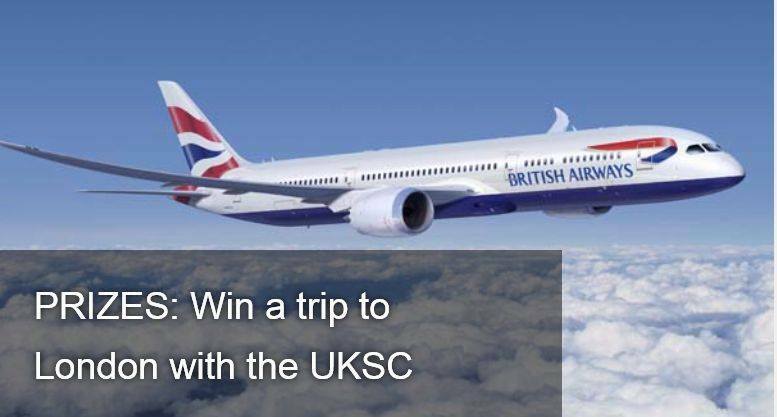 See Full Prize Details here. 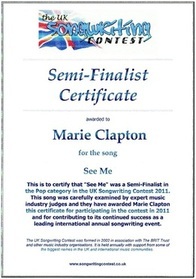 Many people enter songs to be part of a respected international songwriting event and to receive scores from the judges and certificates. Others are more serious about launching a career and many have had success. 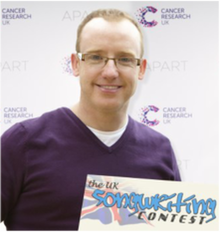 For example Neil Fitzgerald (photo) was signed to the world's biggest independent publishing company and his winning song has raised over £50,000 for charity from sales. Songwriter Leigh Haggerwood's entry was used as the theme song for a network TV show, has had over 40 million YouTube views and was playlisted in 140,000 stores worldwide, Belle Humble has written for major artists, film and TV and and has topped charts globally since winning the UKSC, the Olympic Theme Winner was released during the Games by Juno Award winning producer Mel Shaw, Natale Chua was signed by Simon Cowell, released a Platinum album and became a UKSC judge. See more on the Success Stories page. Deadline: Midnight Sunday October 1.